I just met my friend at City Center Mall to say our final good-byes. She arrived before me to use their new 3G WiFi. She went to the Zain kiosk and, for a few dinars, was watching YouTUBE on her phone. This is the type of Internet access you need when you are traveling. You don’t want to get caught with roaming charges when you check your emails on your phone. Roaming is unbelievably expensive. An acquaintance admitted she had hundreds of dinars in roaming charges when she did not turn off her phone’s data service while on vacation. This is also great if you want to shop and your husband does not. 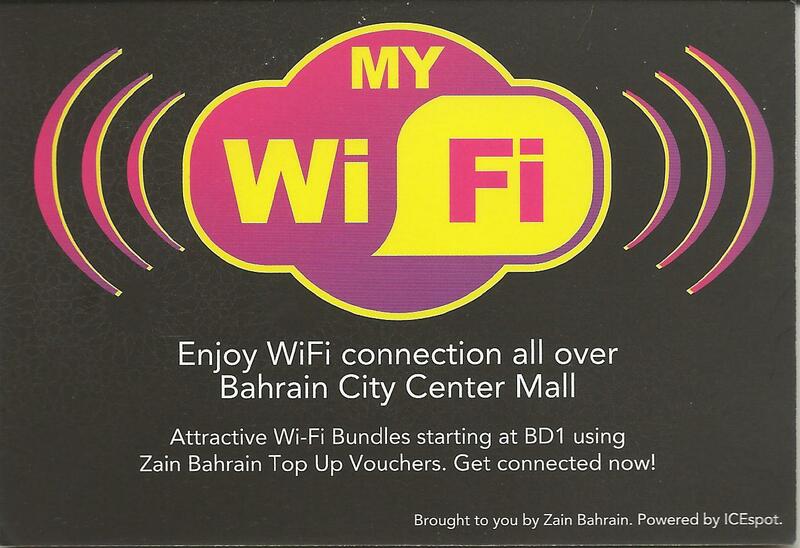 3G to WIFI Offload was all the rage at the 2012 Mobile World Conference in Barcelona last year and Bahrain, believe it or not, is the first in the Gulf to get it. I don’t know why they are keeping it so quiet. Maybe they are afraid City Center will be overrun with people. Four dinars will give you access for the whole day. Bring your iPad. You can download TED, the uncut-version, and video Skype in your friends to people watch with you while you eat your mango PinkBerry. See – sometimes even old Bahrain gets something new. Nice ‘bite’ when there is some remuneration involved … and all those malls in Saudi!! If only I was getting paid – sniff, sniff. See how easy it is to procrastinate when there is something hard to do. I shouldn’t even be looking at my emails. Great news Eva, finally it happened. Yes it is a great achievement for the people at ICEspot. They have been working hard. It’s funny how slowly but surely you can wifi just about anywhere!